To wear sneakers or dress shoes? Don’t let them fool you, brother! It’s all a big con, like underwear! No one needs that kind of restriction. You wear your moccasins, you wear 'em good. 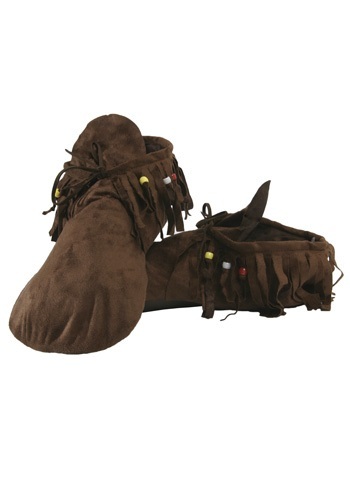 If you want to effect a Woodstock vibe you’ll be in style and comfort when you choose these Men’s Hippie Moccasins. What is it about suede shoes that we associate with a love of Mother Earth anyway? If it seems to you like hippies should go for whatever the shoe equivalent of vegan is, you’re in luck––these Men’s Hippie Moccasins are faux suede with a polyfoam sole, making them perfect for the nature-lover in all of us. Get your feet into this pair of extra comfy Men's Hippie Moccasins. You'll be glad you did! Afterall, society and the mankind wants your to wear sneakers. You wear your moccasins, and you wear 'em good!